A good plumbing system works seamlessly in a home or office. It is not always at the forefront of a person’s mind, which is one reason it is easy to neglect. Most don’t understand how important proper plumbing is for day-to-day activities until a system has problems, which is when the services of JC Plumbing becomes necessary. JC Plumbing services the communities of Springdale, Bentonville, Rogers, Fayetteville, Centerton, Farmington, Gentry, Cave Springs, Bella Vista, Elm Springs, Tontitown, and Johnson, Arkansas. Commercial businesses and residents have depended on the company’s services for more than a decade. It takes dedication, honesty, and patience to earn the respect of a community let alone the many communities that have learned to trust JC Plumbing. 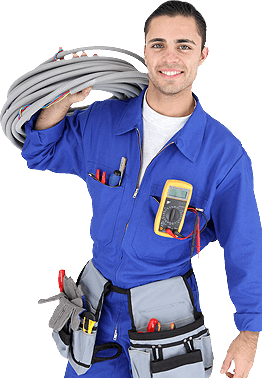 One aspect of JC Plumbing that is likely beloved by those who trust them is their commitment to 24/7 service. Emergencies can happen at any time, and clients deserve immediate assistance. Of course, any specialized and experienced plumber on JC Plumbing’s team would suggest that customers focus on prevention. This means keeping up with all maintenance appointments to make sure issues are resolved early. JC Plumbing can run leak detection analysis and take care of repairs. The team is also able to care for any drain cleaning since this prevents clogs and malodors, just to name some of the benefits. JC Plumbing also has extensive experience with kitchen and bathroom remodeling jobs. A member of the team can offer suggestions or even tips on how to make sure all remodeling is done right the first time. It is easy to see that the plumbers at JC Plumbing have created a culture good enough to provide exceptional customer services and top-rated plumbing services. JC Plumbing encourages any client or potential client to give them a call to solve any issue or to clarify questions clients may have.